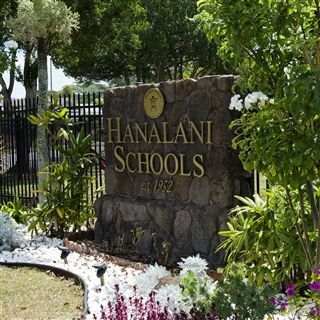 Thank you for your interest in Hanalani Schools! 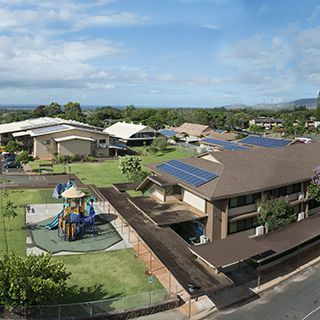 We are a private, Christian school located in Mililani, Hawaii. Founded in 1952, we seek to educate Hawaii’s keiki to be life-long learners, and to love God and others before self. Our application process is a rolling process. Once a grade is filled, additional qualified applicants are placed into a wait pool. We encourage you to submit your application as early as possible. 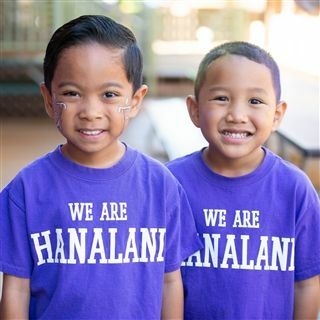 Our goal is to help each prospective family in determining if Hanalani is the “right fit” for their child and family. Our Admissions Committee will give your child’s application the utmost consideration. 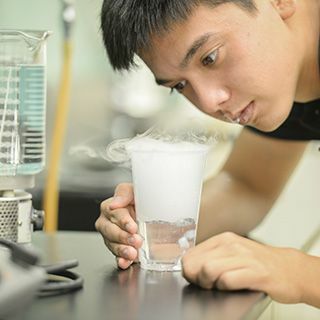 Since the process of applying to independent schools can sometimes be a daunting and overwhelming experience, the following information is provided to assist you. August 1st is the age cutoff date for K3, K4, and Kindergarten (K5). A child must be 3, 4, or 5-years-old by this date to qualify for application. The application process is divided into four steps - application, forms, testing, and interview. Please refer to the checklist for a detailed description of each of these steps. 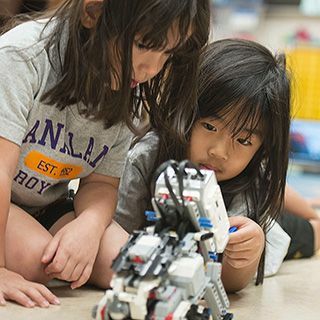 Appointments for interview (K3) or assessment (grades K4-6) will be scheduled upon receiving your completed application and fee ($50 online/$75 paper) and all supporting documents. You will receive a phone call or confirmation letter regarding test/assessment dates and times. Applicants to grades 7-11 are required to take the Secondary School Admission Test (SSAT). Please refer to www.ssat.org for registration information and deadlines. Applicants to grade 12 must submit copies of their scores on the Scholastic Aptitude Test. Please follow the checklist which provides instructions and a list of required documents. If you have not already visited the campus, once we have received your child’s application, the Admissions Office will contact you to schedule an on campus visit for both you and your child. We wish you well in determining the right school for your child. If you have any questions, please do not hesitate to contact the Admissions Office by phone 808-625-0737 ext. 456 or by email admissions@hanalani.org. We are open 7:30am - 5:00pm, Monday through Friday. For Tuition & Fees pricing, click here.